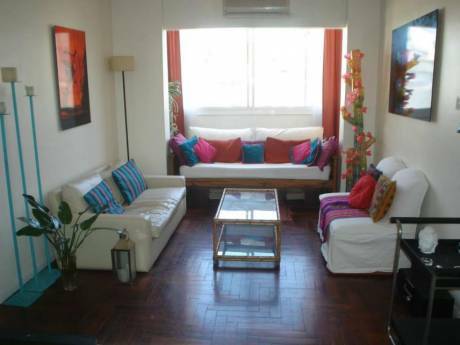 87 sq meter furnished loft in the San Telmo district of Buenos Aires near the beautiful Parque Lezama. Downstairs: Large open living space (relaxation area+dining area+desk+fully equipped kitchen area) with toilet and wash basin. Upstairs: bedroom with double bed, bedroom with 2 single futons (which can be put side by side) and bathroom. 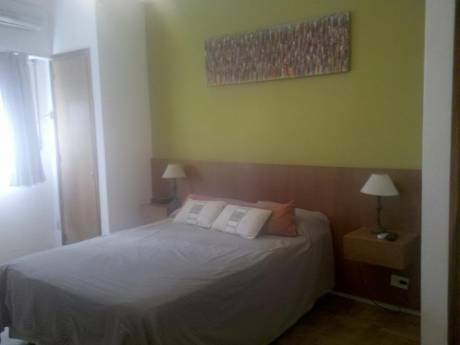 Equipment: television, DVD player, telephone, stereo, wifi. This quiet apartment has its own private 55 sq meter tree-sheltered balcony (no onlooking neighbours) equipped with garden furniture, sun-loungers and barbecue facilities. 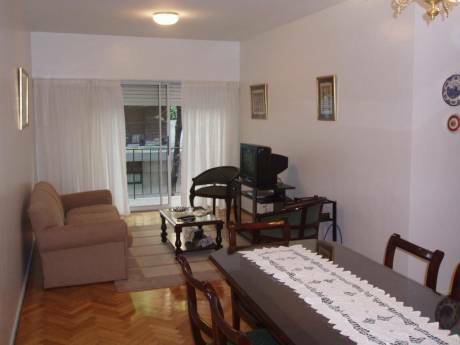 Safe neighbourhood with numerous bus services only 50 meters from the building. Reception service for tenants by an architect friend who lives in the same building. We are no-smoking people and we don't have any pet. We are both: Patricia and Christian, no smokers, no pets. 61 years old and retired. We are French, living between Toulouse (France) and Buenos Aires.